NAOMI was the wife of a Jew named Elimelech, who left his own city of Bethlehem to go into the land of Moab, because there was a famine in Canaan. Some time afterwards be died, leaving Naomi a widow with two sons, all dwellers in a strange land. Her sons married two young women belonging to Moab, whose names were Orpah and Ruth. After living there about ten years Naomi's sons died also, leaving Orpah and Ruth widows, along with their widowed mother-in-law. Then Naomi determined to return to her own land. 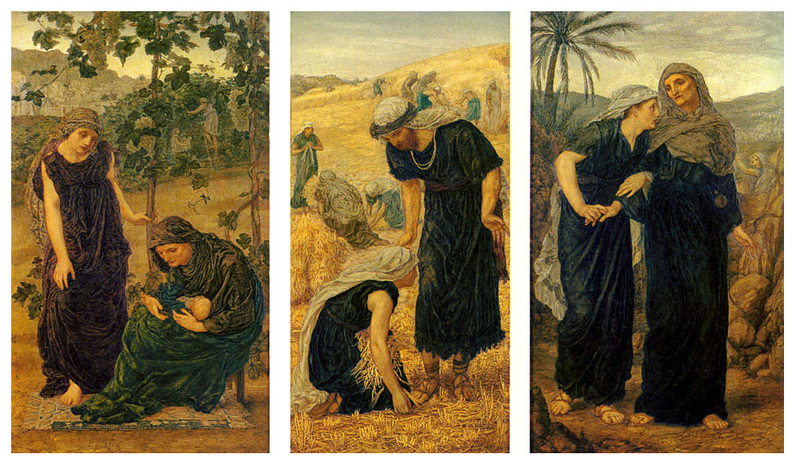 Orpah and Ruth accompanied Naomi some distance on her journey; then she bade them to leave her, telling each to go back to her mother's house in Moab, while she would pursue her way alone to the land of Judah. They were unwilling to do so, saying they would go with her to her land and people; but she urged them to depart, assuring them that they would gain nothing by leaving their own country to accompany her, and that they had better return to their own homes. Then the story informs us --- you will find it in the Bible, in the Book of Ruth --- that Orpah kissed her mother-in-law and departed; but Ruth clave unto her, saying, "Whither thou goest, I will go and where thou lodgest, I will lodge; thy people shall be my people, and thy God my God; where thou diest, will I die, and there will I be buried: the Lord do so to me and more also, if ought but death part thee and me." So Ruth refused to leave her mother-in-law, and journeyed with her until they reached Canaan. Then they both dwelt in the city of Bethlehem, in the land of Judah, where we shall meet with them again in another story from the Bible.